Sign up today to find out everything you want to know about Battlefield V's maps, modes, and exciting new details on single-player and multiplayer (as well as other EA news, products, events, and promotions). Plus, as a bonus for signing up, you'll receive an exclusive Battlefield V in-game emblem. You must sign in and sign up for Battlefield V and EA emails before you can redeem your [IN-GAME ITEM]. You must sign up for the Battlefield V newsletter before you can redeem your item. You've successfully signed up to receive emails about Battlefield V and other EA news, products, events and promotions. Unsubscribe at any time by changing your email preferences. 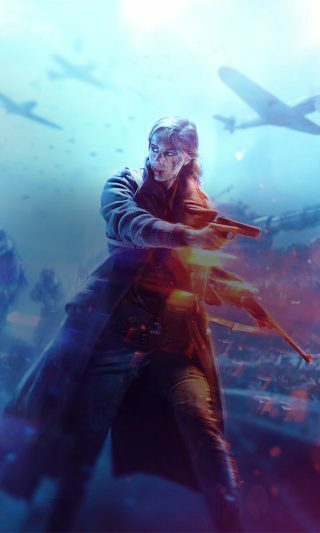 You’ve already signed up for Battlefield V newsletters with the above email. Please check your spam folder for the above email. If you still have troubles receiving the emails, please contact EA. REFERENCE TO A PARTICULAR MAKE, MODEL, MANUFACTURER, AND/OR VERSION OF WEAPON, GEAR OR VEHICLE IS FOR HISTORICAL ACCURACY ONLY AND DOES NOT INDICATE ANY SPONSORSHIP OR ENDORSEMENT OF ANY TRADEMARK OWNER.